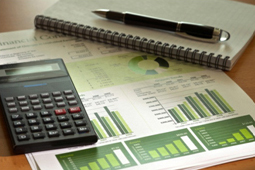 Our customized Financial Analysis Program can help your operation thrive. Today’s producers are asked to wear so many different hats and are expected to be experts in all areas. Finance is something all producers know is important but is something that most do not like to deal with or simply do not have the time to dig deep into the numbers. With the volatility in today’s markets it can make one’s financial picture look more like a puzzle. A thorough analysis of your farm’s well-being will create a benchmark necessary to help you evaluate the success of future decisions. With today’s higher prices means higher input costs, land values and cash rents. All of this combined means that one single mistake will cost your operation two to three times more than it would have ten years ago. That is why it is essential in today’s market to have a strong handle on what your expenses, equipment costs and especially what your working capital is. What are my labor and machinery costs per tillable acre? What are my break evens? How do I decide whether a major purchase is a good decision for my operation? Is now the time to expand my operation? What is my working capital and what should it be? Find out how Corn Capital Innovations can help your operation understand its financial picture by contacting us today.